A restrictive transfusion strategy of 7 gm/dL was established following the previously discussed 1999 TRICC trial. Notably, both TRICC and its derivative study TRISS excluded patients who had an active bleed. In 2013, Villanueva et al. performed a study to establish whether there was benefit to a restrictive transfusion strategy in patients with acute upper GI bleeding. *The Rockall score is a system to assess risk for further bleeding or death on a scale from 0-11. Higher scores (3-11) indicate higher risk. Of the 648 patients excluded, the most common reason for exclusion (n = 329) was low risk of bleeding. During randomization, patients were stratified by presence or absence of cirrhosis. 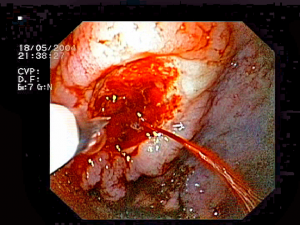 As part of the study design, all patients underwent emergent EGD within 6 hours and received relevant hemostatic intervention depending on the cause of bleeding. Subgroup analyses: Patients were stratified by presence of cirrhosis and corresponding Child-Pugh class, variceal bleeding, and peptic ulcer bleeding. An additional subgroup analysis was performed to evaluate changes in hepatic venous pressure gradient between the two strategies. The primary outcome of 45-day mortality was lower in the restrictive strategy (5% vs. 9%; HR 0.55, 95% CI 0.33-0.92; p = 0.02; NNT = 24.8). In subgroup analysis, this finding remained consistent for patients who had Child-Pugh class A or B but was not statistically significant among patients who had Class C. Further stratification for variceal bleeding and peptic ulcer disease did not make a difference in mortality. Rates of further bleeding events and RBC transfusion, as well as number of products transfused, were lower in the restrictive strategy. Subgroup analysis demonstrated that rates of re-bleeding were lower in Child-Pugh class A and B but not in C. As expected, the restrictive strategy also resulted in the lowest hemoglobin levels at 24 hours. Hemoglobin levels among patients in the restrictive strategy were lower at discharge but were not significantly different from the liberal strategy at 45 days. There was no group difference in amount of non-RBC blood products or colloid/crystalloid transfused. Patients in the restrictive strategy experienced fewer adverse events, particularly transfusion reactions such as transfusion-associated circulatory overload and cardiac complications. Patients in the liberal-transfusion group had significant post-transfusion increases in mean hepatic venous pressure gradient following transfusion. Such increases were not seen in the restrictive-strategy patients. In patients with acute upper GI bleeds, a restrictive strategy with a transfusion threshold 7 gm/dL reduces 45-day mortality, the rate and frequency of transfusions, and the rate of adverse reactions, relative to a liberal strategy with a transfusion threshold of 9 gm/dL. Subgroup analysis suggests that the benefit of the restrictive strategy is less pronounced in patients with more severe hepatic dysfunction. These findings align with prior studies in transfusion thresholds for critically ill patients. However, the authors note that the results conflict with studies in other clinical circumstances, specifically in the pediatric ICU and in hip surgery for high-risk patients. There are several limitations to this study. First, its exclusion criteria limit its generalizability. Excluding patients with massive exsanguination is understandable given lack of clinical equipoise; however, this choice allows too much discretion with respect to the definition of a massive bleed. (Note that those excluded due to exsanguination comprised only 39 of 648.) Lack of blinding was a second limitation. Potential bias was mitigated by well-defined transfusion protocols. Additionally, there a higher incidence of transfusion-protocol violations in the restrictive group, which probably biased results toward the null. Overall, deviations from the protocol occurred in fewer than 10% of cases. Prone positioning had been used for many years in ICU patients with ARDS in order to improve oxygenation. Per Dr. Sonti’s Georgetown Critical Care Top 40, the physiologic basis for benefit with proning lies in the idea that atelectatic regions of lung typically occur in the most dependent portion of an ARDS patient, with hyperinflation affecting the remaining lung. Periodic reversal of these regions via moving the patient from supine to prone and vice versa ensures no one region of the lung will have extended exposure to either atelectasis or overdistention. Although the oxygenation benefits have been long noted, the PROSEVA trial established mortality benefit. Study patients were selected from 26 ICUs in France and 1 in Spain which had daily practice with prone positioning for at least 5 years. Inclusion criteria: ARDS patients intubated and ventilated <36hr with severe ARDS (defined as PaO2:FiO2 ratio <150, PEEP>5, and TV of about 6ml/kg of predicted body weight). (NB: by the Berlin definition for ARDS, severe ARDS is defined as PaO2:FiO2 ratio <100.) Patients were either randomized to the intervention of proning within 36 hours of mechanical ventilation for at least 16 consecutive hours (N=237) or to the control of being left in a semirecumbent (supine) position (N=229). The primary outcome was mortality at day 28. Secondary outcomes included mortality at day 90, rate of successful extubation (no reintubation or use of noninvasive ventilation x48hr), time to successful extubation, length of stay in the ICU, complications, use of noninvasive ventilation, tracheotomy rate, number of days free from organ dysfunction, ventilator settings, measurements of ABG, and respiratory system mechanics during the first week after randomization. At the time of randomization in the study, the majority of characteristics were similar between the two groups, although the authors noted differences in the SOFA score and the use of neuromuscular blockers and vasopressors. The supine group at baseline had a higher SOFA score indicating more severe organ failure, and also had higher rate of vasopressor usage. The prone group had a higher rate of usage of neuromuscular blockade. The primary outcome of 28 day mortality was significantly lower in the prone group than in the supine group, at 16.0% vs 32.8% (p < 0.001, NNT = 6.0). This mortality decrease was still statistically significant when adjusted for the SOFA score. Secondary outcomes were notable for a significantly higher rate of successful extubation in the prone group (hazard ratio 0.45; 95% CI 0.29-0.7, p < 0.001). Additionally, the PaO2:FiO2 ratio was significantly higher in the supine group, whereas the PEEP and FiO2 were significantly lower. The remainder of secondary outcomes were statistically similar. PROSEVA showed a significant mortality benefit with early use of prone positioning in severe ARDS. This mortality benefit was considerably larger than that seen in past meta-analyses, which was likely due to this study selecting specifically for patients with severe disease as well as specifying longer prone-positioning sessions than employed in prior studies. Critics have noted the unexpected difference in baseline characteristics between the two arms of the study. While these critiques are reasonable, the authors mitigate at least some of these complaints by adjusting the mortality for the statistically significant differences. With such a radical mortality benefit it might be surprising that more patients are not proned at our institution. 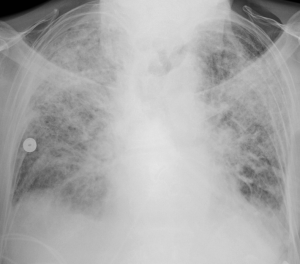 One reason is that relatively few of our patients have severe ARDS. Additionally, proning places a high demand on resources and requires a coordinated effort of multiple staff. All treatment centers in this study had specially-trained staff that had been performing proning on a daily basis for at least 5 years, and thus were very familiar with the process. With this in mind, we consider the use of proning in patients meeting criteria for severe ARDS. Steroid therapy in septic shock has been a hotly debated topic since the 1980s. The Annane trial in 2002 suggested that there was a mortality benefit to early steroid therapy and so for almost a decade this became standard of care. In 2008, the CORTICUS trial was performed suggesting otherwise. The trial enrolled ICU patients with septic shock onset with past 72 hrs (defined as SBP < 90 despite fluids or need for vasopressors and hypoperfusion or organ dysfunction from sepsis). Excluded patients included those with an “underlying disease with a poor prognosis,” life expectancy < 24hrs, immunosuppression, and recent corticosteroid use. Patients were randomized to hydrocortisone 50mg IV q6h x5 days plus taper or to placebo injections q6h x5 days plus taper. The primary outcome was 28-day mortality among patients who did not have a response to ACTH stim test (cortisol rise < 9mcg/dL). Secondary outcomes included 28-day mortality in patients who had a positive response to ACTH stim test, 28-day mortality in all patients, reversal of shock (defined as SBP ≥ 90 for at least 24hrs without vasopressors) in all patients and time to reversal of shock in all patients. In ACTH non-responders (n = 233), intervention vs. control 28-day mortality was 39.2% vs. 36.1%, respectively (p = 0.69). In ACTH responders (n = 254), intervention vs. control 28-day mortality was 28.8% vs. 28.7% respectively (p = 1.00). Reversal of was shock 84.7%% vs. 76.5% (p = 0.13). Among all patients, intervention vs. control 28-day mortality was 34.3% vs. 31.5% (p = 0.51) and reversal of shock 79.7% vs. 74.2% (p = 0.18). The duration of time to reversal of shock was significantly shorter among patients receiving hydrocortisone (per Kaplan-Meier analysis, p<0.001; see Figure 2) with median time to of reversal 3.3 days vs. 5.8 days (95% CI 5.2 – 6.9). In conclusion, the CORTICUS trial demonstrated no mortality benefit of steroid therapy in septic shock regardless of a patient’s response to ACTH. 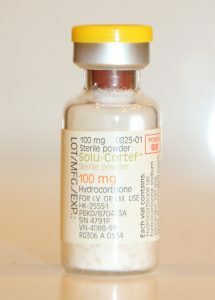 Despite the lack of mortality benefit, it demonstrated an earlier resolution of shock with steroids. This lack of mortality benefit sharply contrasted with the previous Annane 2002 study. Several reasons have been posited for this difference including poor powering of the CORTICUS study (which did not reach the desired n = 800), inclusion starting within 72 hrs of septic shock vs. Annane starting within 8 hrs, and the overall sicker nature of Annane patients (who were all mechanically ventilated). Subsequent meta-analyses disagree about the mortality benefit of steroids, but meta-regression analyses suggest benefit among the sickest patients. All studies agree about the improvement in shock reversal. The 2016 Surviving Sepsis Campaign guidelines recommend IV hydrocortisone in septic shock in patients who continue to be hemodynamically unstable despite adequate fluid resuscitation and vasopressor therapy. 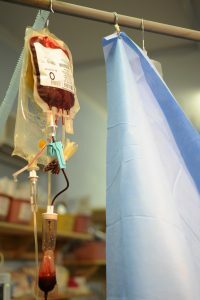 The ANZICS collaborative group published the ADRENAL trial in NEJM in 2018 – which demonstrated that “among patients with septic shock undergoing mechanical ventilation, a continuous infusion of hydrocortisone did not result in lower 90-day mortality than placebo.” The authors did note “a more rapid resolution of shock and a lower incidence of blood transfusion” among patients receiving hydrocortisone. The folks at EmCrit argued [https://emcrit.org/emnerd/cc-nerd-case-relative-insufficiency/] that this was essentially a negative study, and thus in the existing context of CORTICUS, the results of the ADRENAL trial do not change our management of refractory septic shock. Finally, the 2018 APPROCCHSS trial (also by Annane) evaluated the survival benefit hydrocortisone plus fludocortisone vs. placebo in patients with septic shock and found that this intervention reduced 90-day all-cause mortality. At this time, it is difficult truly discern the added information of this trial given its timeframe, sample size, and severity of underlying illness. See the excellent discussion in the following links: WikiJournal Club, PulmCrit, PulmCCM, and UpToDate. Although intuitively a hemoglobin closer to normal physiologic concentration seems like it would be beneficial, the vast majority of the time in inpatient settings we use a hemoglobin concentration of 7g/dL as our threshold for transfusion in anemia. Historically, higher hemoglobin cutoffs were used with aims to keep Hgb > 10g/dL. In 1999, the landmark TRICC trial demonstrated no mortality benefit in the liberal transfusion strategy and harm in certain subgroup analyses. Exclusion criteria: age < 16, inability to receive blood products, active bleed, chronic anemia, pregnancy, brain death, consideration of withdrawal of care, and admission after routine cardiac procedure. Patients were randomized to either a liberal transfusion strategy (transfuse to Hgb goal 10-12g/dL, n = 420) or a restrictive strategy (transfuse to Hgb goal 7-9g/dL, n = 418). The primary outcome was 30-day all-cause mortality. Secondary outcomes included 60-day all-cause mortality, mortality during hospital stay (ICU plus step-down), multiple-organ dysfunction score, and change in organ dysfunction from baseline. Subgroup analyses included APACHE II score ≤ 20 (i.e. less-ill patients), patients younger than 55, cardiac disease, severe infection/septic shock, and trauma. The primary outcome of 30-day mortality was similar between the two groups (18.7% vs. 23.3%, p = 0.11). The secondary outcome of mortality rate during hospitalization was lower in the restrictive strategy (22.2% vs. 28.1%, p = 0.05). (Of note, the mean length of stay was about 35 days for both groups.) 60-day all-cause mortality trended towards lower in the restrictive strategy although did not reach statistical significance (22.7% vs. 26.5 %, p = 0.23). Between the two groups, there was no significant difference in multiple-organ dysfunction score or change in organ dysfunction from baseline. Subgroup analyses in patients with APACHE II score ≤ 20 and patients younger than 55 demonstrated lower 30-day mortality and lower multiple-organ dysfunction score among patients treated with the restrictive strategy. In the subgroups of primary disease process (i.e. cardiac disease, severe infection/septic shock, and trauma) there was no significant differences among treatment arms. Complications in the ICU were monitored, and there was a significant increase in cardiac events (primarily pulmonary edema) in the liberal strategy group when compared to the restrictive strategy group. The TRICC trial demonstrated that, among ICU patients with anemia, there was no difference in 30-day mortality between a restrictive and liberal transfusion strategy. Secondary outcomes were notable for a decrease in inpatient mortality with the restrictive strategy. Furthermore, subgroup analyses showed benefit in various metrics for a restrictive transfusion strategy when adjusting for younger and less ill patients. This evidence laid the groundwork for our current standard of transfusing to hemoglobin 7g/dL. A restrictive strategy has also been supported by more recent studies. In 2014 the Transfusion Thresholds in Septic Shock (TRISS) study showed no change in 90-day mortality with a restrictive strategy. Additionally, in 2013 the Transfusion Strategy for Acute Upper Gastrointestinal Bleeding study showed reduced 40-day mortality in the restrictive strategy. However, the study’s exclusion of patients who had massive exsanguination or low rebleeding risk reduced generalizability. Currently, the Surviving Sepsis Campaign endorses transfusing RBCs only when Hgb < 7g/dL unless there are extenuating circumstances such as MI, severe hypoxemia, or active hemorrhage. The 2008 UPLIFT trial was a four-year, randomized, double-blind, prospective study investigating whether or not tiotropium could reduce the rate of decline of FEV1 (a common metric for COPD progression). A previous retrospective study had shown a reduced rate of FEV1 decline at one year with daily tiotropium. However, this finding had not been shown in any prospective study. As of 2008, smoking cessation was the only intervention demonstrated prospectively to decrease the rate of decline in FEV1. 2987 patients were assigned to receive tiotropium, and 3006 were assigned to receive placebo. Baseline characteristics were similar between the two groups. 44.6% of placebo and 36.2% of tiotropium patients did not complete at least 45 months of treatment. There was no significant difference in rate of decline of FVC. The SGRQ was significantly lower (better) at all time points in the tiotropium group and, on average, was 2.7 points lower than in the placebo group (95% CI 2.0-3.3, p<0.001). The number of COPD exacerbations per year in the tiotropium group was 0.73 vs. 0.85 in the placebo group (RR 0.86, 95% CI 0.81-0.91; p<0.001), and the median time to first exacerbation was longer in the tiotropium group (16.7 months vs. 12.5 months, 95% CI 11.5-13.8,). All-cause mortality was not significantly different among the two groups (14.9% vs. 16.5%, HR 0.89; 95% CI 0.79-1.02; p=0.09). Respiratory failure developed in 88 patients in the tiotropium group vs. 120 in the placebo group (RR 0.67, 95% CI 0.51 to 0.89). The UPLIFT study demonstrated no significant change in rate of decline in FEV1 with tiotropium therapy compared to placebo. However, tiotropium therapy improved quality of life and reduced the frequency of COPD exacerbations and respiratory failure. Overall, this study is an excellent example how a well-designed prospective study can overturn the results of prior retrospective analyses. The authors offered three potential reasons for the lack of difference in rate of FEV1 decline among the groups. First, tiotropium may not actually alter the decline of lung function in COPD. Second, since both groups were permitted any respiratory medications other than another anticholinergic, there may have been a “ceiling effect” reached by the alternative medications, and thus no additional benefit offered by tiotropium therapy. Third, the authors noted the placebo group dropouts tended to be have more severe COPD, and so the remaining “healthy survivor” patients may have biased the group differences toward a null result. Limitations of this study include a high dropout rate in both groups as well as a large male predominance (~75%) that limits generalizability. Finally, the limited clinical benefits of daily tiotropium use are not likely to be cost-effective. In 2010, researchers applied the treatment effects demonstrated in UPLIFT to an observational dataset of 56,321 tiotropium users in Belgium and estimated an average cost of 1.2 million euros per quality-adjusted life year (QALY) gained. Population: Patients were selected from 26 ICUs in France and 1 in Spain which had daily practice with prone positioning for at least 5 years. At the time of randomization in the study, the majority of characteristics were similar between the two groups, although the authors noted differences in the SOFA score and the use of neuromuscular blockers and vasopressors. The supine group at baseline had a higher SOFA score indicating more severe organ failure, and also had higher rate of vasopressor usage. The prone group had a higher rate of usage of neuromuscular blockade. The primary outcome of 28 day mortality was significantly lower in the prone group than in the supine group, at 16.0% vs 32.8% (P<0.001, NNT = 6.0). This mortality decrease was still statistically significant when adjusted for the SOFA score. Secondary outcomes were notable for a significantly higher rate of successful extubation in the prone group (hazard ratio 0.45; 95% CI 0.29-0.7, P<0.001). Additionally, the PaO2:FiO2 ratio was significantly higher in the supine group, whereas the PEEP and FiO2 were significantly lower. The remainder of secondary outcomes were statistically similar. PROSEVA showed a significant mortality benefit with early use of prone positioning in severe ARDS. This mortality benefit was considerably larger than seen in past meta-analyses, which was likely due to this study selecting specifically for patients with severe disease as well as specifying longer prone-positioning sessions than employed in prior studies. Critics have noted the unexpected difference in baseline characteristics between the two arms of the study. While these critiques are reasonable, the authors mitigate at least some of these complaints by adjusting the mortality for the statistically significant differences. With such a radical mortality benefit it might be surprising that more patients are not proned at our institution. One reason is that relatively few of our patients have severe ARDS. Additionally, proning places a high demand on resources and requires a coordinated effort of multiple staff. All treatment centers in this study had specially-trained staff that had been performing proning on a daily basis for at least 5 years, and thus were very familiar with the process. With this in mind, we consider the use of proning in patients meeting criteria for severe ARDS. Although intuitively a hemoglobin closer to normal physiologic concentration seems like it would be beneficial, the vast majority of the time in inpatient settings we use a hemoglobin concentration of >7g/dL as our threshold for transfusion in anemia. Historically, higher hemoglobin cutoffs were used, often aiming to keep Hgb >10g/dL. In 1999, the landmark TRICC trial was published showing no mortality benefit in the liberal transfusion strategy and even harm in certain subgroup analysis. The primary outcome of 30-day mortality was similar between the two groups (18.7% vs. 23.3%, p = 0.11). Secondary outcomes of mortality rates during hospitalization were lower in the restrictive strategy (22.2% vs. 28.1%, p = 0.05). 60-day all-cause mortality trended towards lower in the restrictive strategy although did not reach statistical significance (22.7% vs. 26.5 %, p = 0.23). Between the two groups there was no significant difference in multiple-organ dysfunction score or change in organ dysfunction from baseline. Subgroup analysis was most notable for finding statistically significant benefits for the restrictive strategy in the patients with APACHE II score ≤ 20 and patients younger than 55. In these patients, a restrictive strategy showed decrease in 30-day mortality and a lower multiple-organ dysfunction score. In the subgroups of primary disease process (i.e. cardiac disease, severe infection/septic shock, and trauma) there was no significant difference. Complications in the ICU were monitored, and there was a significant increase in cardiac events (primarily pulmonary edema) in the liberal strategy compared to the restrictive strategy. TRICC showed no difference in 30-day mortality between a restrictive and liberal transfusion strategy. Secondary outcomes were notable for a decrease in inpatient mortality with the restrictive strategy. Furthermore, subgroup analysis showed benefit in various metrics for a restrictive transfusion strategy when adjusting for younger and less-ill patients. This evidence laid the groundwork for our current standard of transfusing to hemoglobin >7g/dL. A restrictive strategy has also been supported by more recent studies. In 2014 the Transfusion Thresholds in Septic Shock (TRISS) study showed no change in 90-day mortality with a restrictive strategy. Additionally, in 2013 the Transfusion Strategy for Acute Upper Gastrointestinal Bleeding study showed reduced 40-day mortality in the restrictive strategy. However, it excluded patients who had massive exsanguination or low rebleeding risk, thus making it difficult to generalize to our patient population. Currently, the Surviving Sepsis Campaign endorses only transfusing RBCs when Hgb <7g/dL unless there are extenuating circumstances such as MI, severe hypoxemia, or active hemorrhage.